A 500 feet extension cord with full load rating 5 amps should be at least AWG 8. Engineering ToolBox, (2010). Extension Cords. 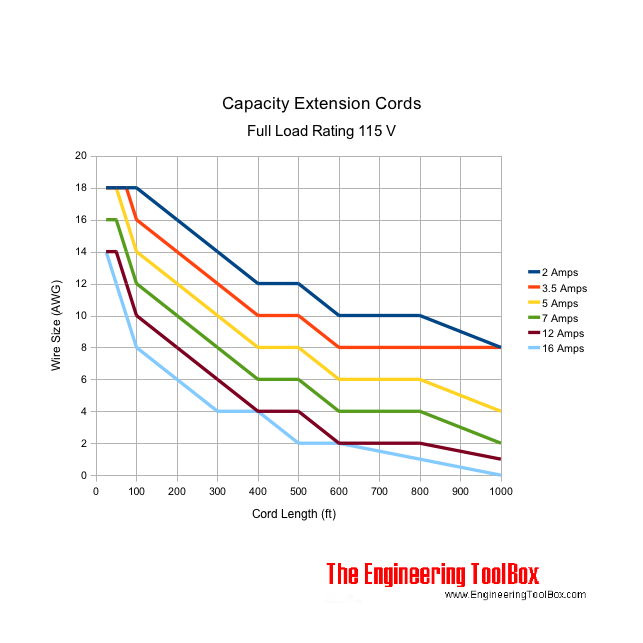 [online] Available at: https://www.engineeringtoolbox.com/extension-cords-full-load-rating-d_1740.html [Accessed Day Mo. Year].